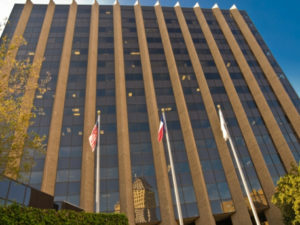 This Virtual Office Austin in down town is located in the heart of the city. This five star building gives you 360 degrees views of the State Capital Building, Lady Bird Lake and the Austin Hill Country to the West. Easy access over Interstate Road 35 and less than 20 minutes driving time from the Austin International Airport. Physical executive office space can be rented on an annual base with a contract or choose our virtual office plan and utilize the shared receptionist, conference rooms and day offices as you need them. The pricing is marginal in comparison to traditional office space, as you only pay for the time you occupy the space. At the Virtual Office Austin you never have to worry about being present, our office staff will represent you in your companies name, receive all your mail and take messages in accordance with your instructions. Setting up your virtual office can be done conveniently online, we will have your corporate identety established at our location in less than 24 hours. If you wish to preview the location, contact us via the inquiry button below, or call 1.866.793.7969 we will gladly arrange a tour for you with one of our managers on site. This Fort Lauderdale Virtual Office will not disappoint. The freestanding building is easy to access and in one of the most prestigious locations, right between the bay and the beaches. A modern office space with an excellent location and moderate price tag. For businesses looking to establish their corporation in Tampa, Florida, this facility is a viable option for the most distinguished customer.